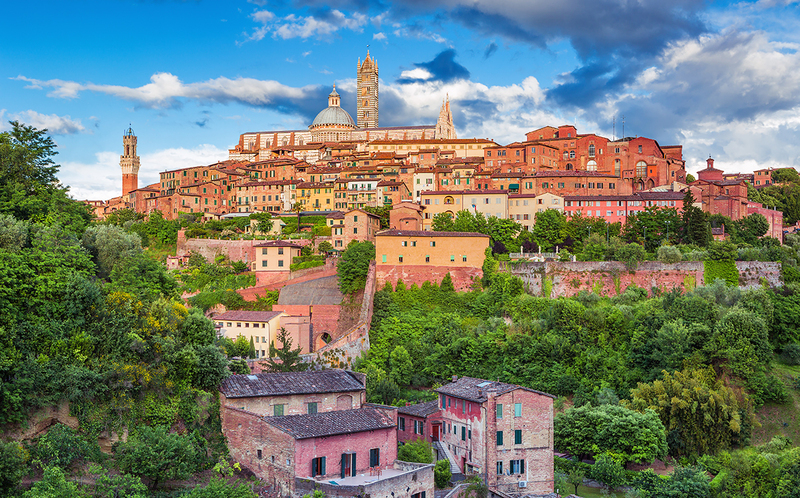 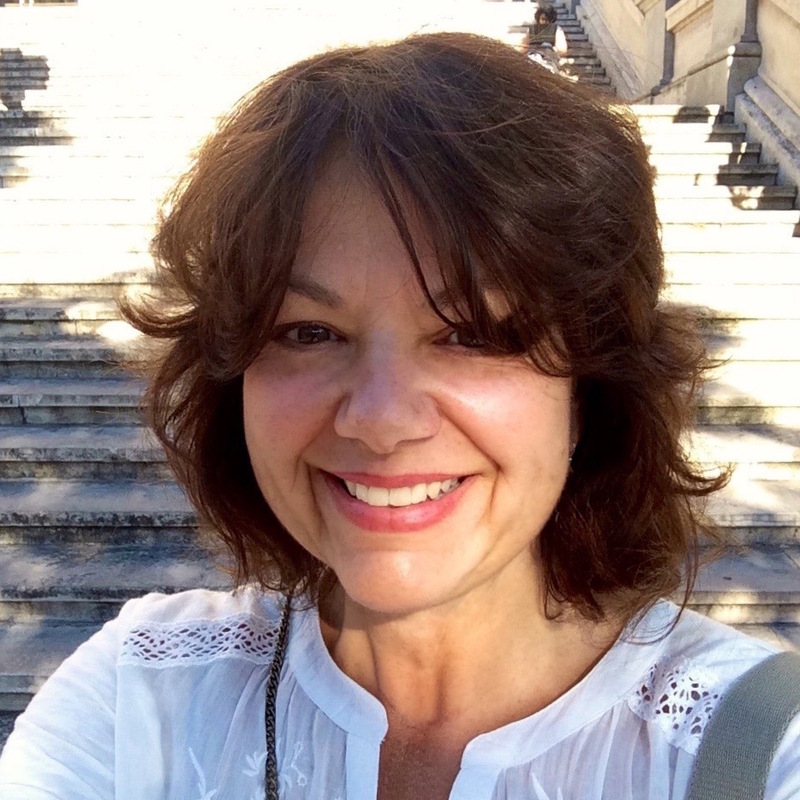 Enjoy a stroll through spectacular Siena—a UNESCO World Heritage Site—with its well-preserved cityscape, celebrated Duomo, and bustling Piazza del Campo. 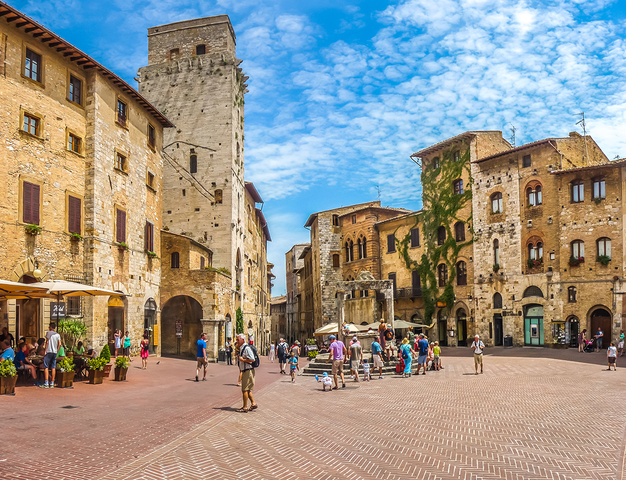 Admire the Etruscan ruins and Roman center at Volterra before visiting charming San Gimignano—the Town of Fine Towers—which is completely encircled by medieval walls. 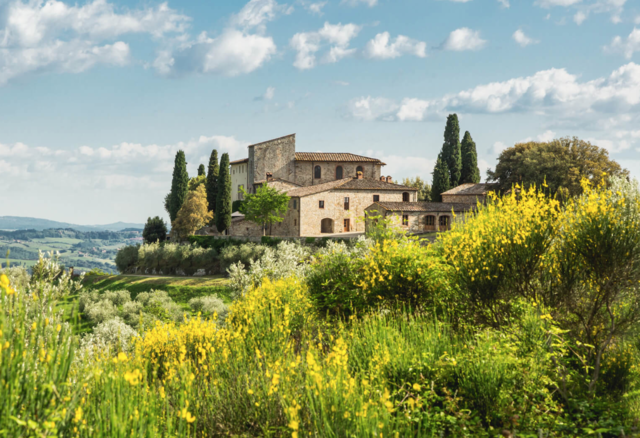 At Podere Il Casale—an organic farm—learn about the owners' passion for the slow food movement and see a cheese-making demonstration. 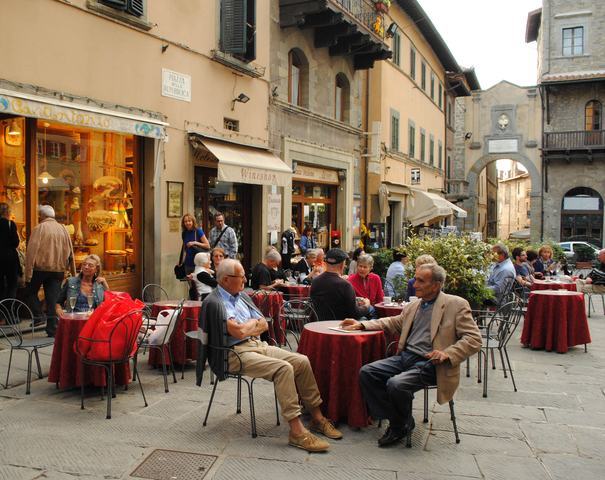 And learn the history of Bagno Vignoni, a small village surrounded by thermal waters. 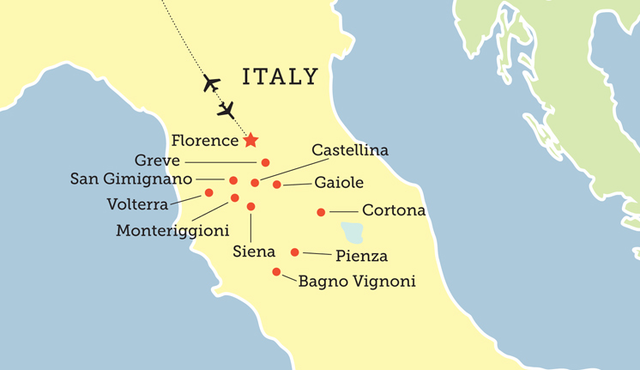 There is an optional post-tour in Florence.